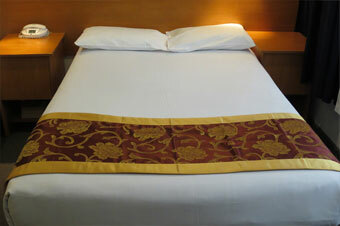 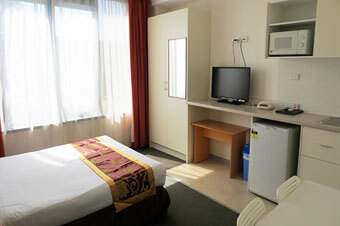 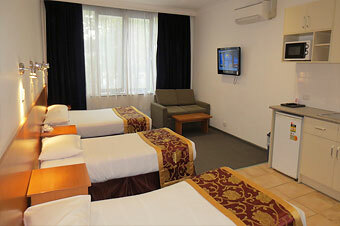 Flagstaff City Inn Melbourne's Two Bedroom Accommodation apartment is fitted with a Queen Size bed in room, 2 Single beds in other room, one bathroom. 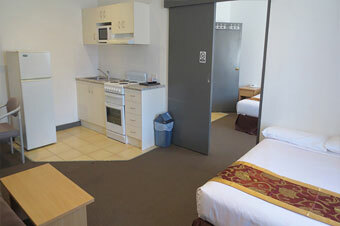 Small living room has Kitchenette facilities (microwave, fridge, kitchen sink, kettle & toaster). 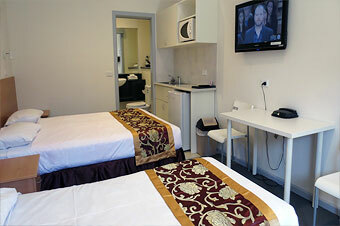 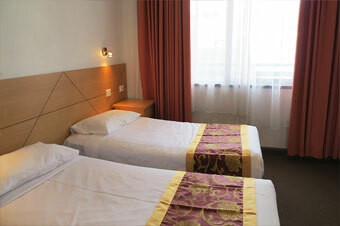 Rates are for 4 people, maximum of 4 people in the apartment.